Nov-16-08 Woody Wood Pusher: Painful game...my instincts believe Chucky missed a draw here somewhere, his position after 37..Bc6 looks so solid. Eyal: It seems that Chucky actually tried a nice idea for creating a fortress with the 2 pawn sac starting in 40...e5, but Jobava managed to break through by precise maneuvering culminating in 65.b4! As he says in the interview, without White's b-pawn and this resource, the position would be drawn. Nov-28-08 AnotherNN: Surely White could have mated with 84.Kf4 (next would be 85.Qg5++). 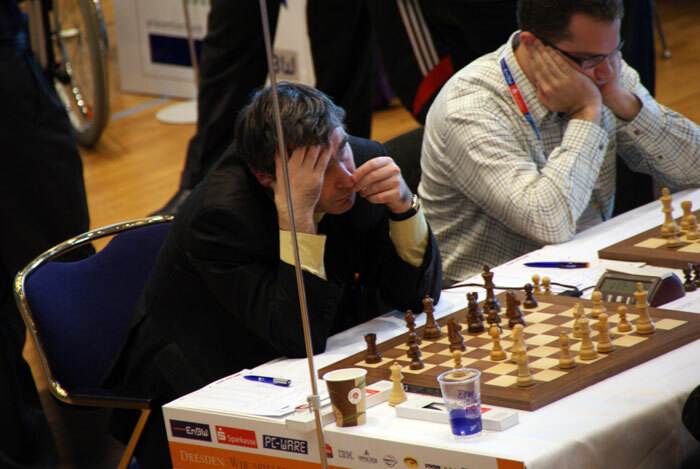 Dec-09-08 Resignation Trap: Photo of Ivanchuk massaging his nose while thinking on move 11 during this game: http://www.chesspro.ru/_images/mate... .
Dec-09-08 Resignation Trap: Photo of Jobava after his victory: http://www.chesspro.ru/_images/mate... .
Feb-05-09 dumbgai: <AnotherNN> Yeah, that's what I thought too. Maybe he was in some time trouble. 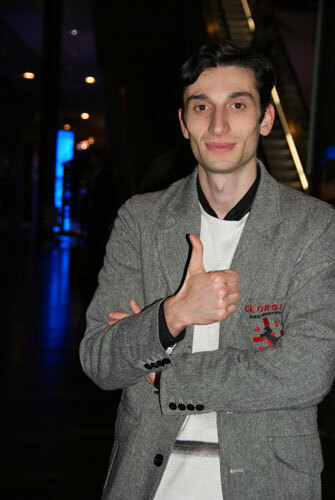 Jobava doesn't have much trouble winning at this point anyways. Sep-19-09 WhiteRook48: 84 Kf4 time trouble? Jun-28-11 JamesT Kirk: Chucky,thank you for the "ypok"! !